Mark McClellan, MD, PhD, is the Robert J. Margolis Professor of Business, Medicine, and Health Policy, and Director of the Duke-Margolis Center for Health Policy at Duke University with offices at Duke and in Washington DC. The new Center will support and conduct research, evaluation, implementation, and educational activities to improve health policy and health, through collaboration across Duke University and Health System, and through partnerships between the public and private sectors. It integrates the social, clinical, and analytical sciences to integrate technical expertise and practical capabilities to develop and apply policy solutions that improve health and the value of health care locally, nationally, and worldwide. Dr. McClellan is a doctor and an economist, and his work has addressed a wide range of strategies and policy reforms to improve health care, including such areas as payment reform to promote better outcomes and lower costs, methods for development and use of real-world evidence, and more effective drug and device innovation. Before coming to Duke, he served as a Senior Fellow in Economic Studies at the Brookings Institution, where he was Director of the Health Care Innovation and Value Initiatives and led the Richard Merkin Initiative on Payment Reform and Clinical Leadership. He also has a highly distinguished record in public service and in academic research. Dr. McClellan is a former administrator of the Centers for Medicare & Medicaid Services (CMS) and former commissioner of the U.S. Food and Drug Administration (FDA), where he developed and implemented major reforms in health policy. These include the Medicare prescription drug benefit, Medicare and Medicaid payment reforms, the FDA’s Critical Path Initiative, and public-private initiatives to develop better information on the quality and cost of care. Dr. McClellan is the founding chair and a current board member of the Reagan-Udall Foundation for the FDA, is a member of the National Academy of Medicine and chairs the Academy’s Leadership Council for Value and Science-Driven Health care, co-chairs he guiding committee of the Health Care Payment Learning and Action Network, and is a research associate at the National Bureau of Economic Research. 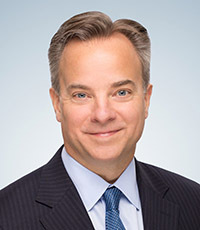 He has also previously served as a member of the President’s Council of Economic Advisers and senior director for health care policy at the White House, and as Deputy Assistant Secretary for Economic Policy at the Department of the Treasury. He was previously an associate professor of economics and medicine with tenure at Stanford University, and has twice received the Kenneth Arrow Award for Outstanding Research in Health Economics.